Dragonfire is a deck-building game set within the world of Dungeons & Dragons. Players choose from a number of races — from dwarf to elf, half-orc to human — while assuming the quintessential roles of cleric, rogue, fighter, and wizard. Equipped with weapons, spells, and magic items, players begin their adventure along the famed Sword Coast, then expand to other locales across the Forgotten Realms, such as Baldur's Gate, Neverwinter, and Waterdeep in future expansions. Along the way, players level up their characters, opening access to additional equipment, feats, and more. Join the quest, and build your own legend! 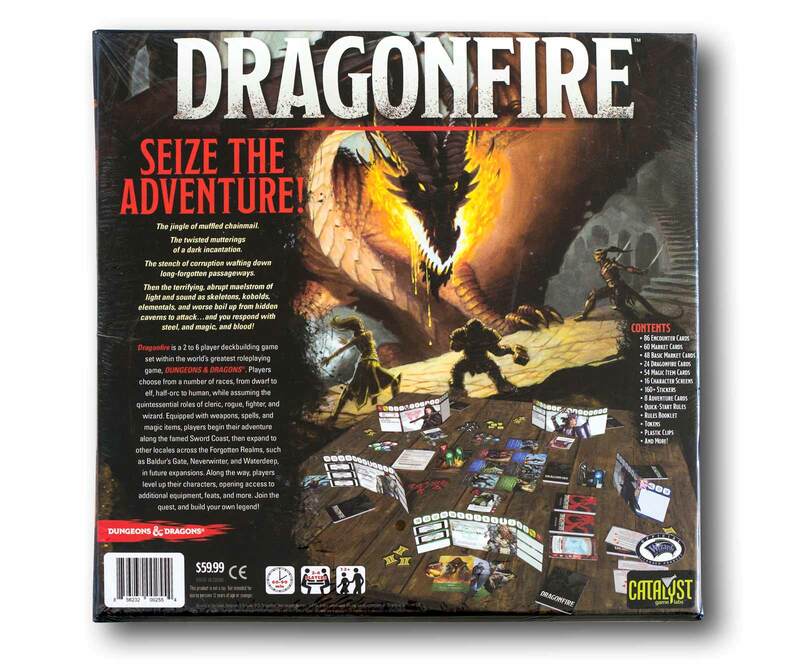 In Dragonfire, players assume the roles of their favorite Dungeon & Dragons® classes and races. With chosen Character screens ready, the players select an Adventure that determines the details of the current game. Each Adventure is broken up into a number of Scenes. During each Scene, the players face a number of encounter cards representing monsters and villains. Each turn, players each have the opportunity to play cards against encounters and purchase more cards to increase the strength of their decks. While players must face encounters individually, cooperative play is the name of the game: players will need to work together to defeat all the enemies. Defeat all of the encounters to complete a Scene. Complete all of the Scenes in the Adventure, and you win the game! 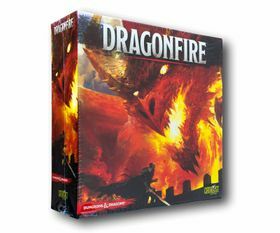 Viel Spaß mit Dragonfire wünscht das Team von Brettspiel-Freunde.